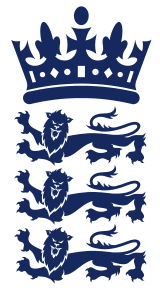 England were fantastic in Brisbane on Tuesday, and come to Hobart with some confidence, but they’ve got to play a team that’s 2 and 0 in this Carlton Mid Tri-Series, and one that will be difficult to beat, despite not being at full strength. Hello everyone. Welcome to the Blundstone Arena in Hobart, for the next installment of this Carlton Mid Tri-Series between Australia and England. Australia are without David Warner, Shane Watson, George Bailey, who’s suspended and Mitchell Johnson for this match, but they’ll be lead by Steven Smith, who was brilliant in the Test Series. The news from here, is that Australia have won the toss, and will BOWL first… which means, for the third time in as many games, they’ll be chasing tonight! Hello again from Blundstone Arena. Let’s have a look at the two teams for the match today. Australia have made 3 changes… Shaun Marsh, Cameron White and Moses Henriques are all into the side, replacing Warner, Bailey and Watson. Those changes have triggered a change in the batting order as well, as you could appreciate! For England, the same team that thumped India the other evening in Brisbane. Players and Umpires are on their way to the middle. 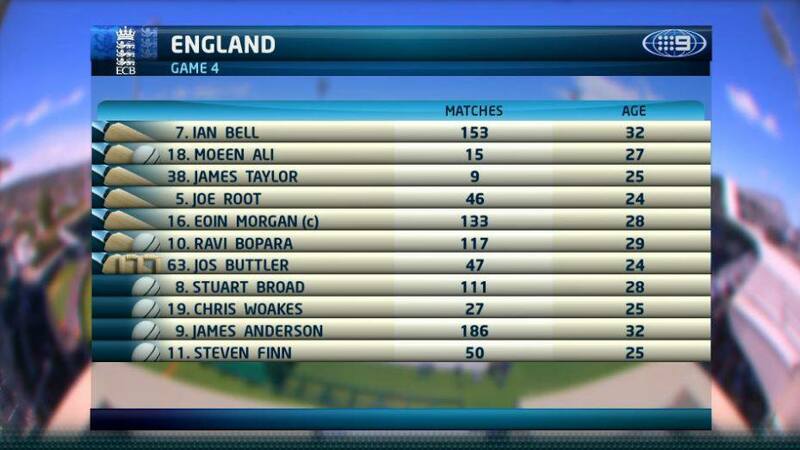 Ian Bell and Moeen Ali will open the batting for England, after Steve Smith won the toss, and sent the visitors in. Mitchell Starc has been magnificent with the ball in hand so far in this series, and it is he who will open the bowling, and waiting for us in the Commentary Box are David Lloyd, Mark Taylor and Ian Healy! FIFTY for Ian Bell… a solid start from the openers, and he’s played some beautiful strokes, to get England off to a cracking start. 0/85. GONE!!! AUSTRALIA GET THEIR BREAKTHROUGH… SMART BOWLING FROM FAULKNER, AND ALI TOP EDGES IT STRAIGHT TO XAVIER DOHERTY! GONE!!! JAMES TAYLOR DOESN’T LAST LONG TODAY… HENRIQUES STRIKES, AND AUSTRALIA HAVE A DOUBLE-BREAKTHROUGH… BUT, IF YOU’RE ENGLAND, YOU STILL WANT 300, AND YOU HAVE THE BATTING TALENT TO ACHIEVE IT… IT’S 2/132! GOT IT!!! THAT’S 100 FOR IAN BELL, AND WHAT A FINE CENTURY IT IS TOO… ENGLAND FIRING AT BLUNDSTONE ARENA, THANKS MAINLY TO IAN BELL! JOE ROOT GOES TO FIFTY… IT’S BEEN ENGLAND’S DAY SO FAR AT THE BLUNDSTONE ARENA HERE IN HOBART, AND IF THESE TWO CAN STICK TOGETHER, AUSTRALIA WILL BE CLIMBING A MOUNTAIN TONIGHT! IT’S 2/235! 5:17pm | HE’S GOT HIM… IAN BELL IS OUT… HE MUST GO! GREAT OUTFIELD CATCH FROM MITCHELL STARC, AND THE MAN WHO’S DONE ALL THE DAMAGE IS BACK IN THE PAVILION! GOT HIM!!! FIRST BALL… EOIN MORGAN, WHO DID ALL THE DAMAGE WITH THE BAT FOR ENGLAND IN GAME 1, GETS A GOLDEN IN HIS SECOND INNINGS OF THE SERIES! To continue in the Commentary Box for you, Ian Healy, Michael Hussey and Mark Taylor! GONE!!! ROOT, TRYING TO CLEAR MID-ON, AND FAILS… FINDS THE HANDS OF AARON FINCH INSTEAD, AND A VERY GOOD KNOCK FROM ROOT ENDS PREMATURELY ON 69! That’s an impressive performance from England… they’ve made 303, but the last over was chaotic… they lost 3 wickets in the last 3 balls, 2 of which wererun outs! A very good effort from the Australian bowlers… if they manage to chase it down, they can thank the bowlers… they restricted England to 6/59 in the final ten overs, after they were 2/244! So, this different looking Australian team has a big night ahead of them… this will be their biggest chase of the series, but if they had to do anywhere, they’d pick Hobart, because it’s a good chasing ground. We’ll be with you from 6:30pm AEDST for the chase. See you then! Hello again from Hobart, where Australia have a big run chase ahead of them, after England scored 303 in their 50 overs earlier today. 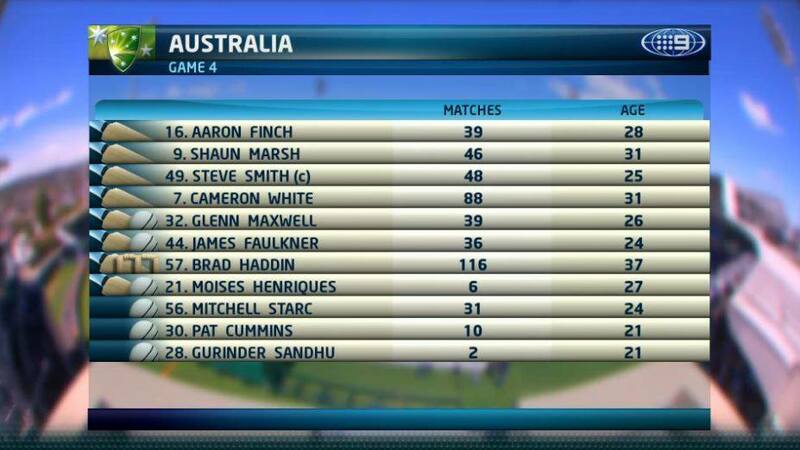 Aaron Finch and Shaun Marsh will open the batting… Marsh, of course, taking the spot vacated by David Warner! Chris Woakes opens the bowling for England, and waiting for us in the Commentary Box are Ian Healy, James Brayshaw and Michael Slater! THE CHANGE OF BOWLER AND PACE HAS WORKED FOR ENGLAND… THE SLOWER BOWLER GETS AARON FINCH! 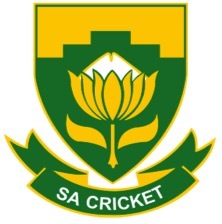 Solid start from the Australians… until that… it’s a minor setback, but now the captain Steven Smith is in the middle, and more than capable of carrying on from the good start made by Aaron Finch. In the Commentary Box are Mark Nicholas, Michael Hussey and Mark Taylor! GOT HIM!!! SHAUN MARSH MUST GO!!! FALLS SHORT OF A HALF-CENTURY, BUT WHAT A GOOD PLATFORM HE’S LAID! 7:46pm | OH, OUT… BIG SHOUT… OUT, GOT HIM, YES, SURELY… YES, THAT’S OUT!!! CAMERON WHITE IS GONE FOR A DUCK, AND STEVEN FINN IS ON FIRE, JUST AS HE WAS IN BRISBANE! England are in complete control, as Glenn Maxwell joins Steve Smith, and in the commentary box, James Brayshaw, David Lloyd and Ian Healy! GONE!!! IT WAS NEARLY SIX, BUT INSTEAD, IT’S A GREAT CATCH FROM JOE ROOT ON THE BOUNDARY LINE, AND GLENN MAXWELL MUST GO, AND ALI HAS A SECOND WICKET! This game is nicely poised, as James Faulkner makes his way to the middle, to join Steve Smith! OUT!!! IAN BELL’S CAUGHT IT… THE FINISHER WON’T FINISH THE JOB TONIGHT… INSTEAD, HE’S FINISHED BY ENGLAND! GREAT BOWLING FROM WOAKES, AND A GOOD CATCH FROM IAN BELL, WHO’D HAVE TO BE ODDS ON FOR THE MAN OF THE MATCH AWARD AT THIS STAGE! It’s England’s game to lose right here, right now… into the Commentary Box come Michael Hussey, Mark Nicholas and Mark Taylor! It’s a tight, tense tussle at the Blundstone Arena in Hobart… Smith and Haddin have stuck together. They took 13 off the last over, and a big 6, and a much need boundary from Haddin bring Australia right back into it, and Steve Smith is closing in on a century. We’re in for a thrilling finish in Hobart, and to take you through it, David Lloyd, Ian Healy and Michael Slater! GOT IT!!! THE STAR OF THE TEST ARENA DELIVER ON THE 50-OVER STAGE!!! STEVE SMITH A CENTURY… AND ONE THAT’LL SEE HIS TEAM INTO THE FINAL OF THE CARLTON MID TRI-SERIES! 10:02pm | GONE!!! BRAD HADDIN HAS DONE HIS JOB, BUT TRYING TO CHIP IT OVER THE IN-FIELD DOESN’T WORK FOR HIM THIS TIME… DOING THE TEAM THING FOR THE THIRD TIME IN HIS SERIES, AND WHAT A JOB HE’S DOING! WHAT A CRACKING FINISH WE’RE IN FOR HERE IN HOBART! MOSES HENRIQUES IS OUT, RUN OUT… TRYING TO GET STEVE SMITH ON STRIKE, TO GET THE FINAL RUNS REQUIRED, AND A DIRECT HIT SEES HIM RUN OUT! 3 dot balls to start the last over, but Steve Smith is on strike, and they need 2! Australia wins by 3 wickets | Qualify for Final! THEY’VE DONE IT!!! MITCHELL STARC HITS THE WINNING RUNS… AUSTRALIA ARE HOME… IT’S THE 2ND HIGHEST SUCCESSFUL RUN CHASE AT THE BLUNDSTONE ARENA, AND IT ENSURES AUSTRALIA WILL PLAY IN THE FINAL AT THE WACA NEXT SUNDAY! Steven Smith gets his country over the line. He’s the first player to score a century at both Test and ODI level in his first game as a captain, and he’s achieved both in the space of 5 weeks! He is having an extraordinary summer, and he is tonight’s Man of the Match, which will come as no surprise to any of you, although one must feel for Ian Bell… an extraordinary innings earlier today, and still, he can’t get England to victory! So, now it’s all about India and England… who will qualify for the Final against Australia… odds are with England, unless India can win both of their remaining games with a bonus point. 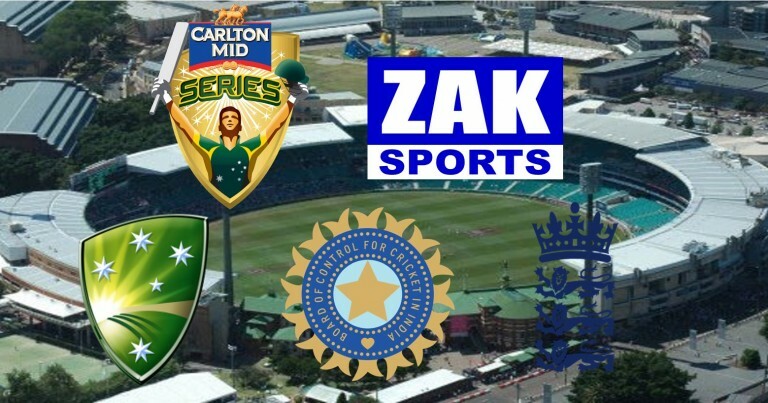 The next match is on Australia Day at the Sydney Cricket Ground. We celebrate the national days of both Australia and India, with a big game of cricket between the two rivals… As I said, must win for India… if Australia get up, it’s England who will automatically go through to the final, and that would make next Friday’s game between England and India at the WACA a dead-rubber. Sensational performance from the Australians tonight… for the 2nd time in 12 months, England can’t beat Australia after making more than 300… the last one was at the GABBA, when James Faulkner wrecked England’s fun, and stole the show. Tonight, it was Steve Smith who excelled, with cameo performances from Faulkner, Maxwell, Finch, Marsh and Haddin. They’re unstoppable at the moment. Let’s hope that continues when we get to the World Cup! From all of us in Hobart, goodnight!